222 S. Royal Avenue Two Second Floor Office Suites Near Courthouse & Govt OfficesTotal 1,100 s.f. 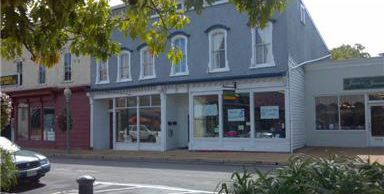 233 S. Royal Avenue Commercial2,398 s.f. 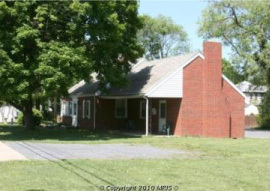 $329,000 Wanda Miller & Assoc. 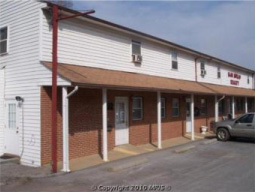 Adjacent 2-story commercial bldg + lot available Wanda Miller & Assoc. 29 Chester Street 5,200 s.f.Office Bldg. 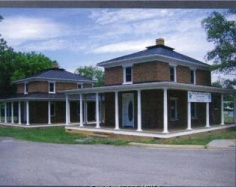 Currently multi-family apartment with carriage house. Investment opportunity. 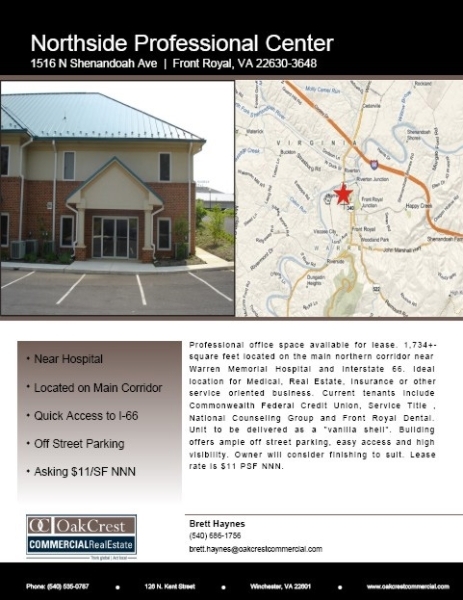 508 Kendrick Lane Industrial/Manuf 145,000 s.f. 900 Shenandoah Shores Road Commercial Property7,700 s.f. 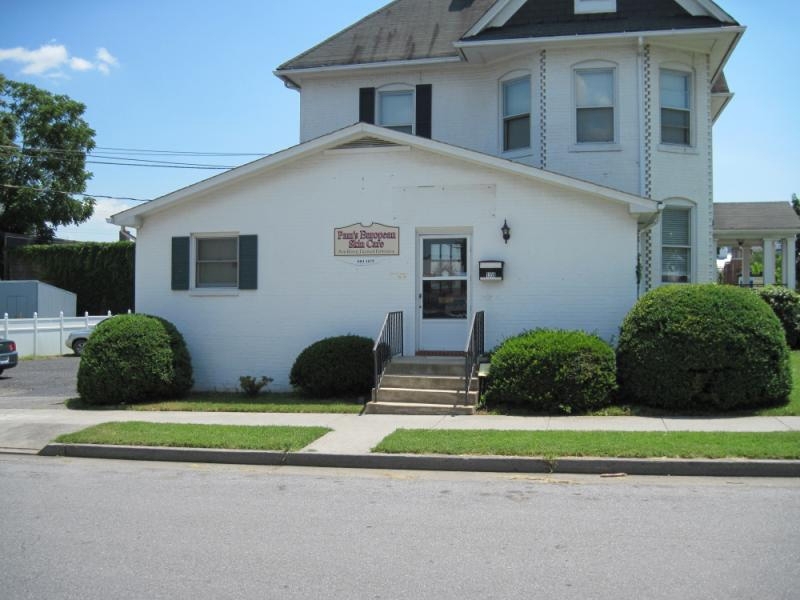 : manufacturing flex space 4 offices, reception, conference room, 2 restrooms, 6,500 s.f. production area, break room 2 restrooms, 2 overhead doors and a covered dock;Second Floor: 3,550 s.f. storage; 1.71 Acres; Fully LeasedConvenient to VA Inland Port with access to I-81, I-66 and Route 522/340 and Route 55.